If the crowd seemed a bit sparse for the league-leading Houston Rockets’ home game against Detroit on Thursday, that’s because it was. Apparently there were major issues with the mobile-only Flash Seats entry system at the game, which left fans stuck on the outside looking in as things got underway. 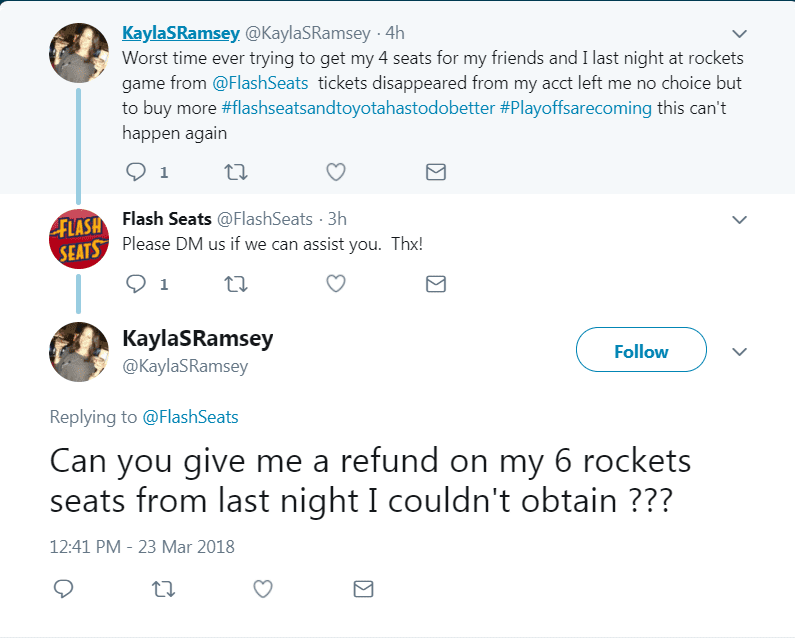 The rockets are a mobile-only entry team, which means that there is no other option besides Flash Seats tied to one’s mobile device or license/credit card associated with their account for entry. As has been shown to be the case, this means that when the system goes down, things aren’t easily sorted out. In this instance, the outage right at tip-off meant that any fan who hadn’t been scanned in had no option but to wait around while the game went on. As tends to happen when mobile systems fall apart at the seams and cause major headaches for fans (and venue operators, presumably), Rockets supporters took to Twitter to air their grievances. For Houston fans who like Garth Brooks and basketball, Thursday was potentially the second time an issue with mobile ticketing cost them at least part of an evening’s enjoyment, as Flash Seats was part of a series of issues that led to major lines at a concert as the Houston Livestock Show and Rodeo earlier this month. Other events featuring similarly poor customer experiences specifically tied to mobile system failures in the past year alone include The College Football Playoff final in Atlanta A Kid Rock concert that saw fans need mobile tickets to be printed out at the event, not to mention a huge outage on Ticketmaster’s mobile system snarled lines at several events across the country last fall. Sheirr told the Chronicle that the team was working on sorting out the number of individuals who were impacted by the system issue. Anyone who was impacted has been asked to contact the Rockets or Toyota Center representatives.